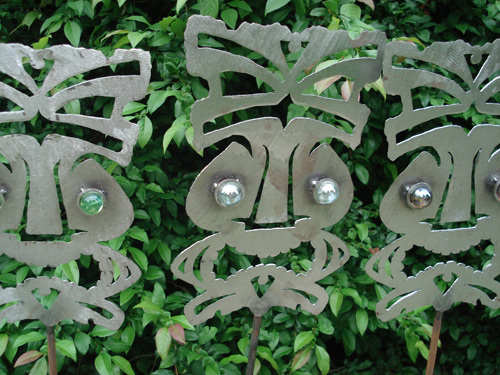 Made a bunch of metal Tiki Gods the other day. They sure look cool all lined up together. Different colors of glass eyes make each stand apart. 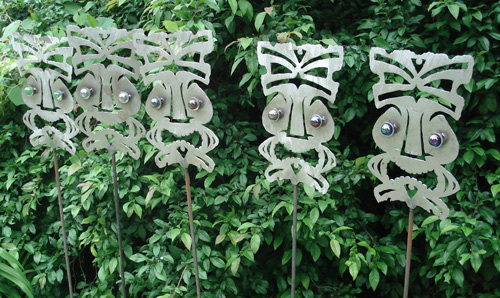 I placed these sculptures on 4-foot stakes to make sure they can be seen above the flowers. Let me know if you want some of these for your garden.